The Knerr-Tubb building (Wiers store) at 112-116 W. Main was built in 1909 by Tubb Brothers. 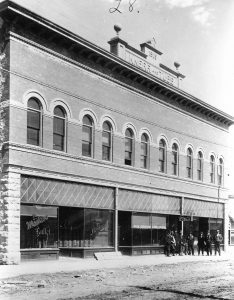 Thomas Tubb, Christian Knerr and Levi Knerr were the original owners of the Tubb-Knerr building. 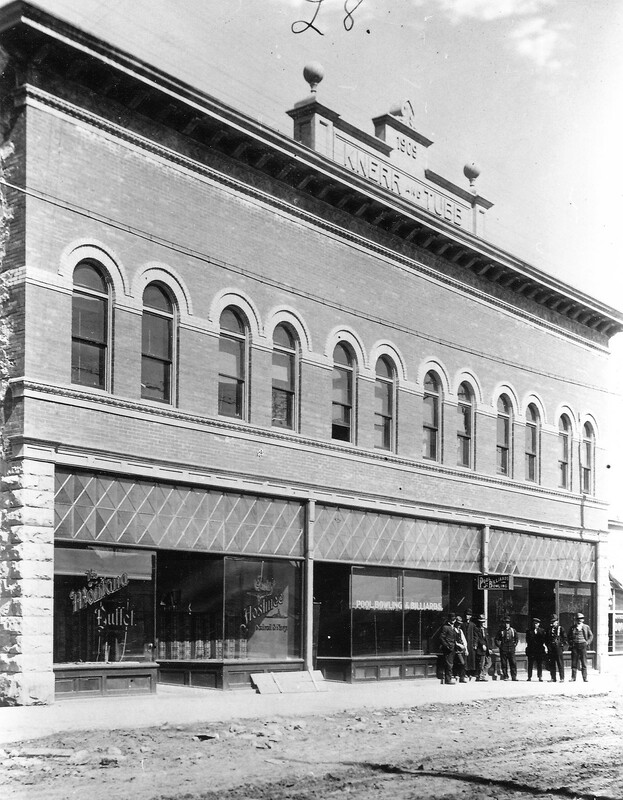 “The Knerr-Tubb Block is remembered by many as the Armory Hall, where for many years, Central Montana residents “tripped the light fantastic” at charity and dress balls, regular weekly dances and dance classes.” (Sievert-Architectual Survey). The Armory was on the top floor and the Montana Buffet owned by L.S. Butler and Charles Woodworth was on the bottom floor. Shortly after the opening of the building it was noted that, “Kenny and Pomeroy have leased the new Armory Hall and plan to have regular Saturday night dances. Haller’s orchestra will provide splendid music for the dances” (Fergus County Argus, Dec. 7, 1909). Many businesses were located in the building throughout the years. For example, in November 1909, George Kemp, formerly of Moore, made arrangements to open a new café known as the French Café in one of the Knerr-Tubb rooms. Other businesses included Cyrus Bozarth, barber, Spring and Draper Billiards and the Boston Store which sold clothing, shoes, hats, and men’s furnishings. Similarly, Henry C. Miss sold second-hand goods at the Tubb-Knerr building in 1930. In 1947, Ward’s Super Market had its grocery business in the building. Wier’s Furniture Store started in the early 1950’s. Source: Montana Historical and Architectural Inventory Site #130 By Ellen Sievert.